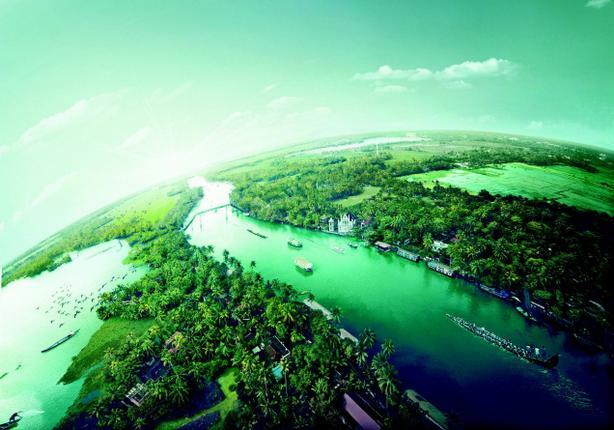 The latest campaign from Kerala Tourism – The Great Backwaters – is a visual symphony of green that plays up the lifestyle, culture and unique ecosystem of the backwaters in Kerala. The film conceived by Stark Communications portrays life in and around the backwaters with stunning aerial and underwater photography. Backwaters is unique to Kerala and is a network of 1500 km of canals both man-made and natural, 38 rivers and 5 big lakes extending through the state. It is a chain of brackish lagoons and lakes lying parallel to the Arabian Sea coast (Known as the Malabar Coast). Kerala Houseboat Packages is the most popular activity in backwaters, with several large traditional rice boats houses tourists for an overnight cruise or a day cruise in backwaters of Kerala. Watch the video below where scenes of life in the backwaters smoothly glide by with images of school children, coconut climbers, toddy tappers, fishermen, swimmers, ducks, boats and mangroves seamlessly merge into the landscape as aerial shots and underwater images blend to yield a clear portrait of the languid lifestyle of the region. The aerial pictures were clicked with a remote controlled eight-rotor helicam by Ville M.J. Hyvnen, perhaps the best in aerial photography in the world now. While one person controlled the helicam, another person monitored the pictures being clicked and Hyvönen and Ville Vellend were bowled over by the greenery and the waterscapes of Kerala. Kerala had won the award for best family destination by Lonely Planet and a A National Geographic Survey in 2009 had listed Kerala backwaters as among the top 133 destinations in the world and put it ahead of the Taj Mahal in India. The campaign has been creating ripples as it has garnered likes and shares on the social networks.The creative team says this is the first of a series of campaigns to make the backwaters a top destination with its exclusive culture on the lines of the Grand Canyon in the United States and the Great Barrier Reef in Australia.